Our AI program has kept us busy the past couple of weeks. 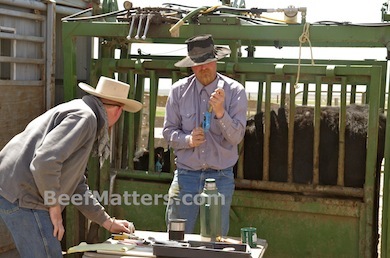 This year we are AI’ing (artificially inseminating) our first-calf and second-calf heifers. An AI program works well for us because it allows us to quickly and efficiently improve the genetics of our cow herd. 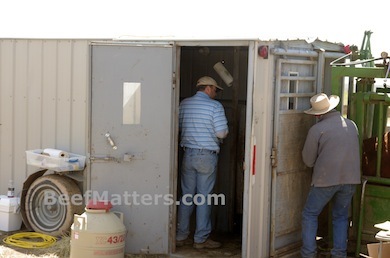 The entire AI process requires working the heifer in the chute three different times in about two weeks, so it is fairly labor intensive on those three days. 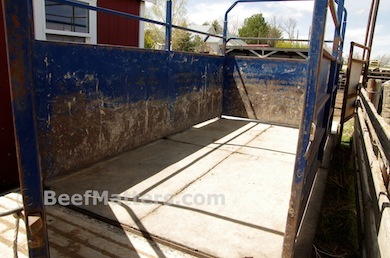 However, it will pay off for us when these high-quality calves hit the ground next spring. 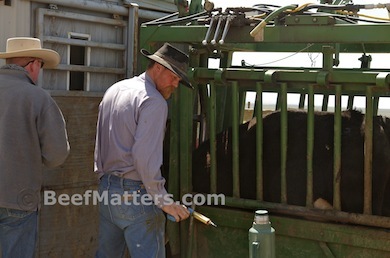 We are halfway through with this spring’s AI program; next week we will finish up with the first-calf heifers. 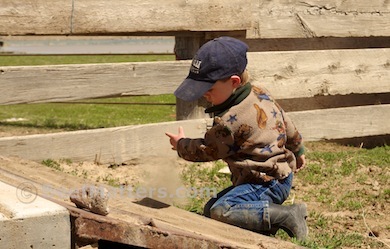 My three-year old and I have spent a lot of time at the chute lately, helping with the multiple AI steps. Know where he likes to play when we are down there? In the scale, which I fondly think of as a giant play-pen. It’s really the perfect place for him, he’s contained and content, which is an ideal I rarely achieve with him. Have I mentioned before exactly how busy this little boy is? Let me give you a quick peek into a mere 45 minutes of my morning yesterday: While I cleaned up breakfast dishes, he completely dismantled his brother’s all-time favorite Lego creation. As I gathered the Lego pieces from four different rooms in the house, he went into the laundry room and turned on our front-loading washing machine…then he pressed cancel and opened the door, promptly flooding the laundry room. After mopping up that mess, I walked into the kitchen to find a five pound bag of flour upended on the floor and he was driving his trucks through it. I finally admitted defeat and gave up on inside chores. 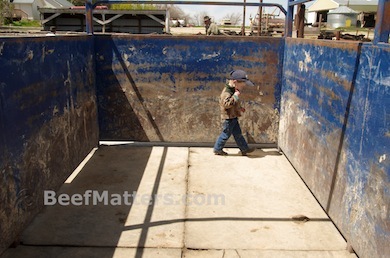 We went back to the chute…where he happily played in the dirt for the next two hours.